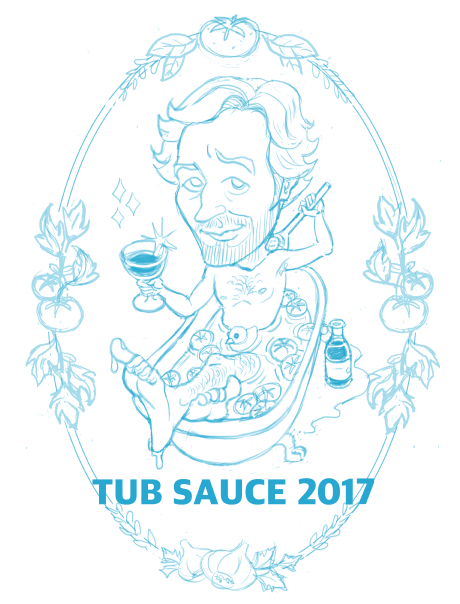 I was recently commissioned to create a label to go on a mason jar as a birthday gift. 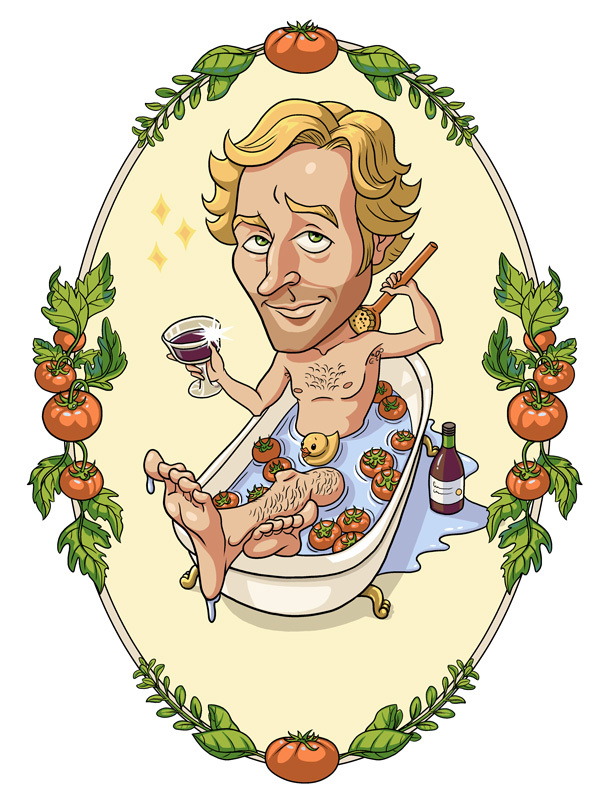 The client wanted an illustration of his friend, Taras, who enjoys making his own tomato sauce with ingredients from his backyard. 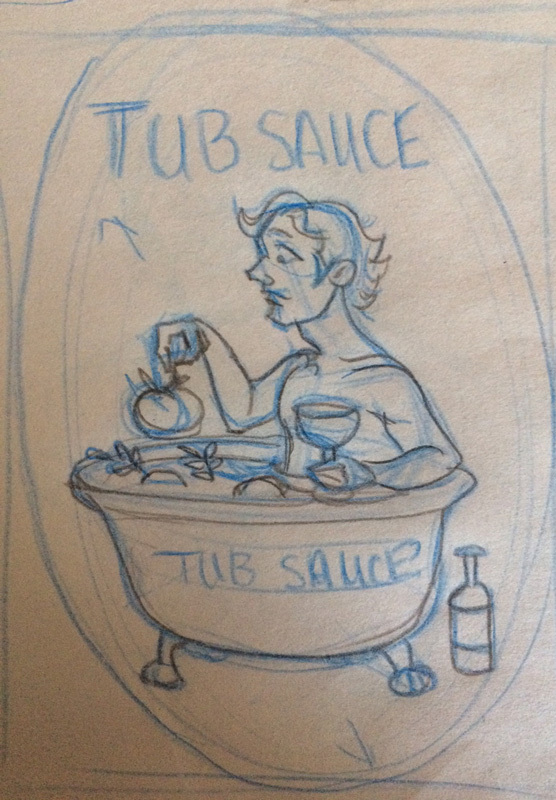 I was told that he washes the tomatoes in his clawfoot tub so the client came up with this fun idea of having him in the tub with his tomatoes sipping a glass of wine while he scrubs his back. I thought the idea was cute and really enjoyed working with the art director, Samantha, who was the go-between for this little project. It started with me trying to get his likeness down from the photos I was sent. I was given a concept sketch to use for inspiration and asked to see if I could come up with other ideas. Because of the tomatoes and herbs, I thought it might be nice to add them as a decoration around the image and we did end up using that. 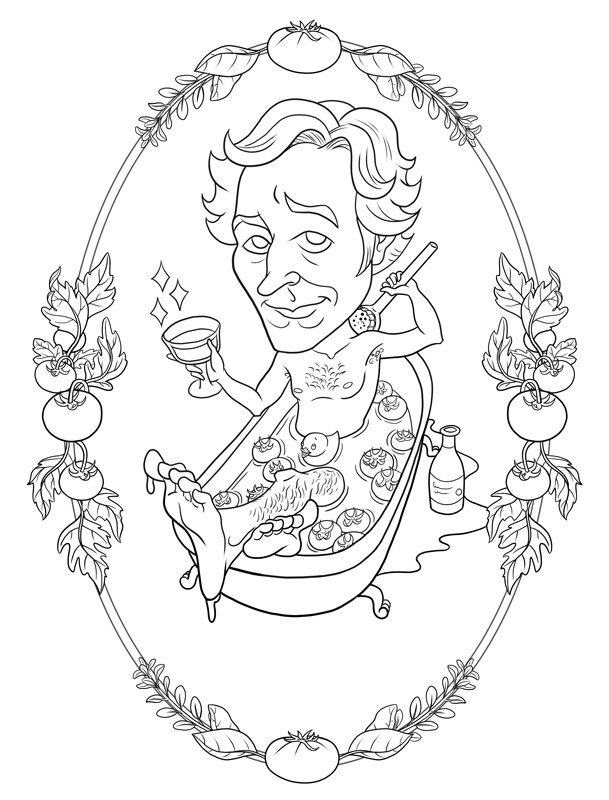 The toothbrush was another fun thought that popped into my head but in the end we ended up using a bit of the initial concept with the herb and tomato border. My hubby came up with a couple of great text ideas but in the end they wanted to go with text that more closely matches his hand writing. The text, cutout and framing was all done by Samantha who did such a wonderful job. I'm told the recipient was quite surprised and pleased with his gift!